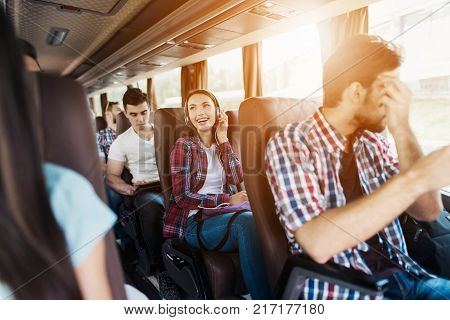 The girl is sitting on the bus in headphones and listening to music. She smiles and enjoys music. Next to the bus are other people who also went on a trip.